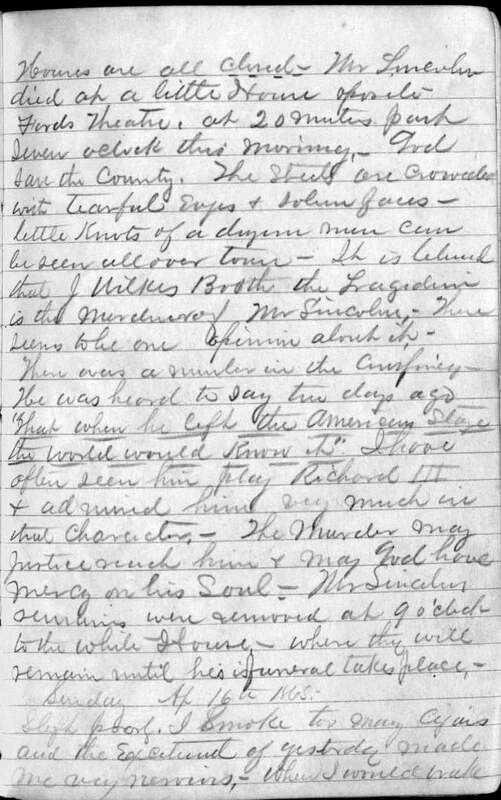 Item Description: April 15th, 1865 diary entry in Henry Clay Warmoth’s Civil War diary. 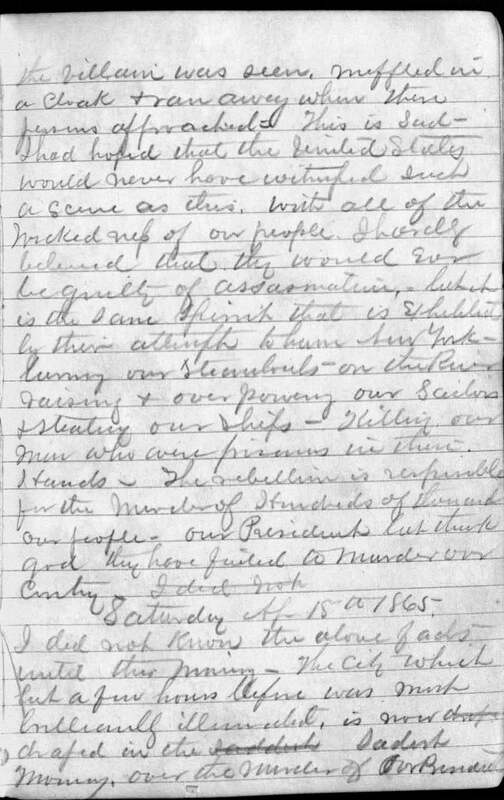 Warmoth was stationed in Washington D.C. and describes the somber mood in the city after the assassination of Abraham Lincoln. Henry Clay Warmoth was a lieutenant colonel of the 32nd Missouri Volunteers, assigned to the staff of General John A. McClernand. He served as Governor of Louisiana from 1868-1872. 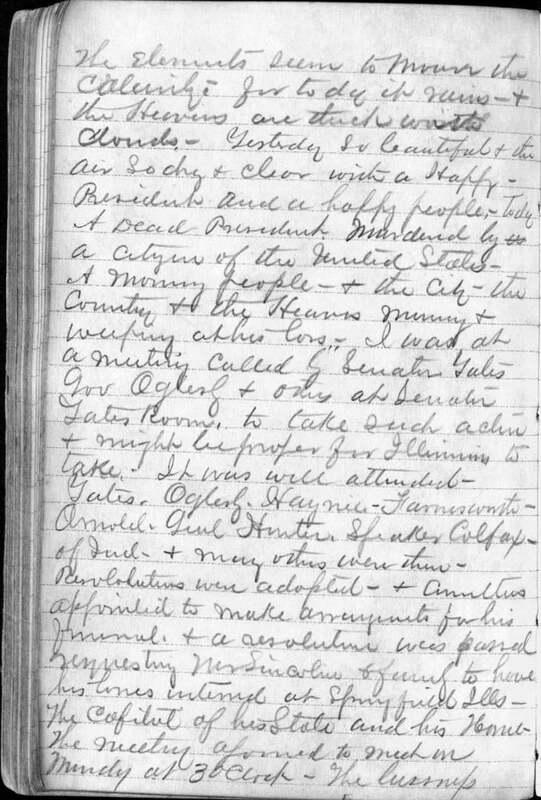 This entry was posted in Southern Historical Collection and tagged Abraham Lincoln, assassination of Lincoln, diary, Hanry Clay Warmoth, Washington (D.C.). Bookmark the permalink.